Every Thursday, the Archives will feature artists, musicians, and makers of all variety, entered for your approval here in the Archives. With so many talented individuals to choose from, we know it is a challenge to feature every clever creative worthy of note, but perhaps we might endeavour to introduce to you a new name in our community of steam and cog, or perhaps remind you of one artisan’s successful efforts to bring the past that never was to the here and now. 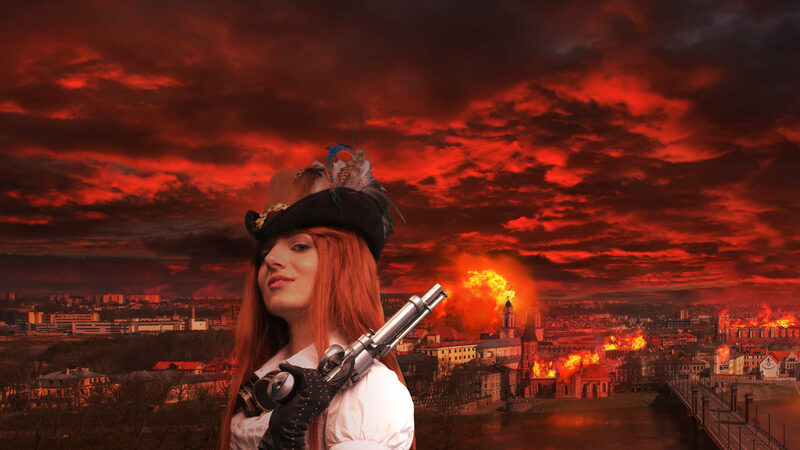 Recently, I left a steady job to write a steampunk trilogy. Probably, as both Tee and Pip did when I told them this, you are staring at your computer screen with your mouth slightly agape. Yes, I traded in full time employment to launch a writing career. Mad? Maybe a bit, but within this twisted tumble down my personal rabbit hole, I did make certain to have a plan. First Item: How am I going to make a steampunk trilogy happen? With the success of The Oatmeal‘s Tesla Museum drive, I decided to look into crowdfunding. 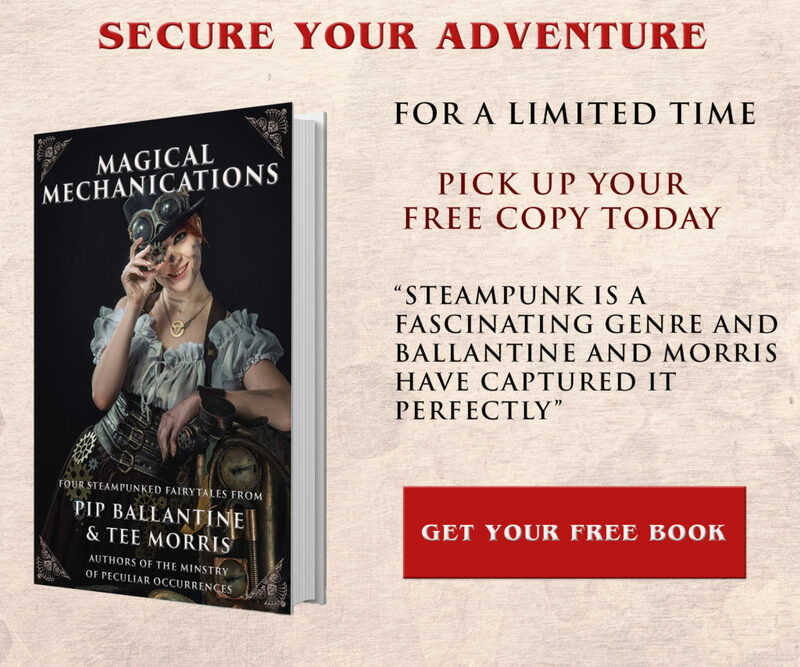 If you missed Oatmeal’s amazing campaign or many other steampunk-themed successes, you might wonder what crowdfunding is. In a nutshell, crowdfunding is when artists, non-profits, and individuals network their resources, usually through online promotions, to raise financial backing for independent projects. These projects go well beyond artistic pursuits and have included endeavors such as disaster relief, political movements, and even software startups. I turned to two excellent funding platforms: Kickstarter and Indiegogo. Both platforms are excellent resources for individuals seeking funding for a creative project, and if you are considering drumming up financial support for book, documentary, or other project, here are some issues to consider. One of the main differences between Kickstarter and Indiegogo is money. 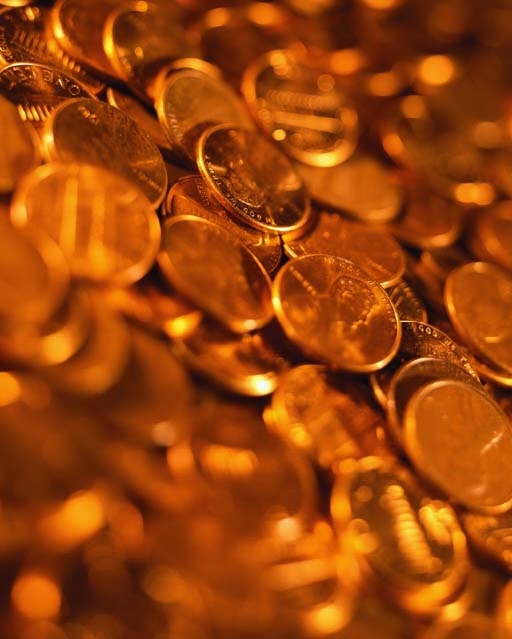 With Kickstarter, you have to reach your campaign goal to receive a penny. With Indiegogo, you have the option of receiving all donated funds, regardless of if you meet your goal. While partial funding may spell doom for many creative projects, some people are happy to get any money donated. Kickstarter is slightly easier to navigate with a more intuitive format. Indiegogo is a little more challenging to manage; however, the end result is more appealing for the audience. Indiegogo also has an excellent “Customer Happiness” center and more resources and support than Kickstarter. Ultimately, your campaign is more important than the platform you use. One of your first considerations is your campaign goal: I set my Kickstarter campaign at $20,000 and my Indiegogo campaign at $5,000. The lower goal on Indiegogo seemed to better encourage people to donate, so it is best to low-ball your number. Happily, both platforms let donors pledge money beyond your campaign goal, and you just may raise more money than you need. The perks and rewards you offer are important, and one mistake I made on Kickstarter was not offering enough rewards, especially for smaller donations. My Indiegogo campaign has more than double the perks of my Kickstarter drive, including several for $5 pledges. Also, put some creativity into your rewards. One perk I have on Indiegogo is that donors help create and name a specific character they would like written into the trilogy, and this has been a big draw for several donors. The Next Item: Marketing your campaign. This is vital. I had the most success with buying a Facebook ad for my Facebook page: this ad has earned me hundreds of likes and several pledges. I update my Facebook page at least twice a day with interesting research links, writing updates, and campaign reports, and I blog regularly. 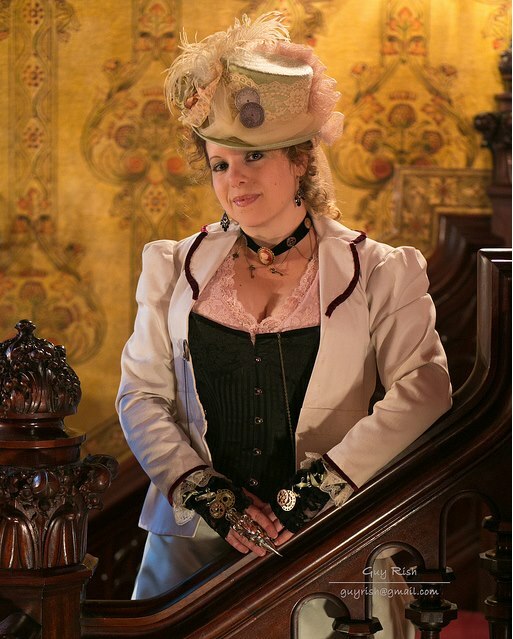 Also helpful was attending two steampunk conventions where I introduced myself to people and handed out business cards with my campaign information. Sadly, the nifty campaign posters which I hung up around town generated virtually nothing; neither did the two YouTube videos I created and my Twitter posts. For me, Facebook has been the most helpful. Want to learn more? Check out my Indiegogo drive to see a campaign in action which ends November 15th. Have a successful campaign story or questions? Shoot me an email, and let’s all work to help support good steampunk projects! Do you have a steampunk musician, artist, short film, designer, or maker that you wish to see in our Ministry Æther Feature? Contact our journalists at tee (at) teemorris (dot) com and pip (at) pjballantine (dot) com, and they will labour to feature you here. If selected, the artist-in-question will be notified. Thank you for your continuing interest in the Ministry of Peculiar Occurrences. Next → Next post: Finalists! Aleta Pardalis liked this on Facebook. Check out this article I’m featured in!